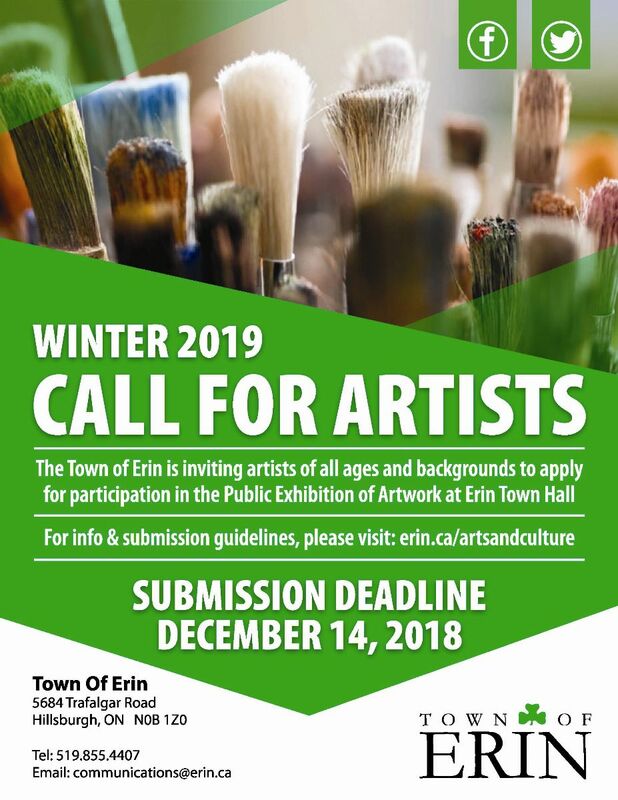 The Town of Erin is inviting artists of all ages and backgrounds to apply for participation in the public exhibition of artwork at Erin Town Hall. To learn more, please refer to the following Information and Guidelines package, as well as the Application Form below. In order to submit your application, please email townhallart@erin.ca or hand in your application in person at Town Hall. The deadline to submit applications for the spring term is December 14, 2018.